Cool Springs Press, 9780760362853, 272pp. Don't wait another season to try Mel's brilliant approach to gardening! We're sure it will work for you and you won't look back. The Square Foot Gardening Foundation is a nonprofit organization that operates an extensive outreach network to bring Square Foot Gardening to vegetable gardeners and to countries with hunger issues. Consisting of several full-time staff and a small board of directors, the Foundation is based in Halesite, New York. 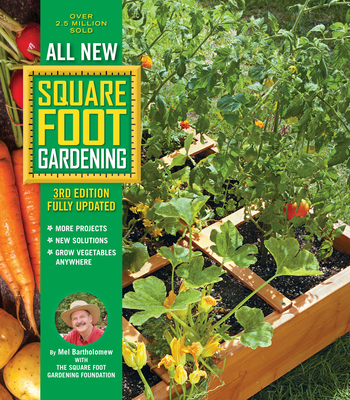 Through a large network of certified Square Foot Gardening instructors, the Foundation conducts seminars and classes throughout the United States to teach the Square Foot Gardening method pioneered by the late Mel Bartholomew.